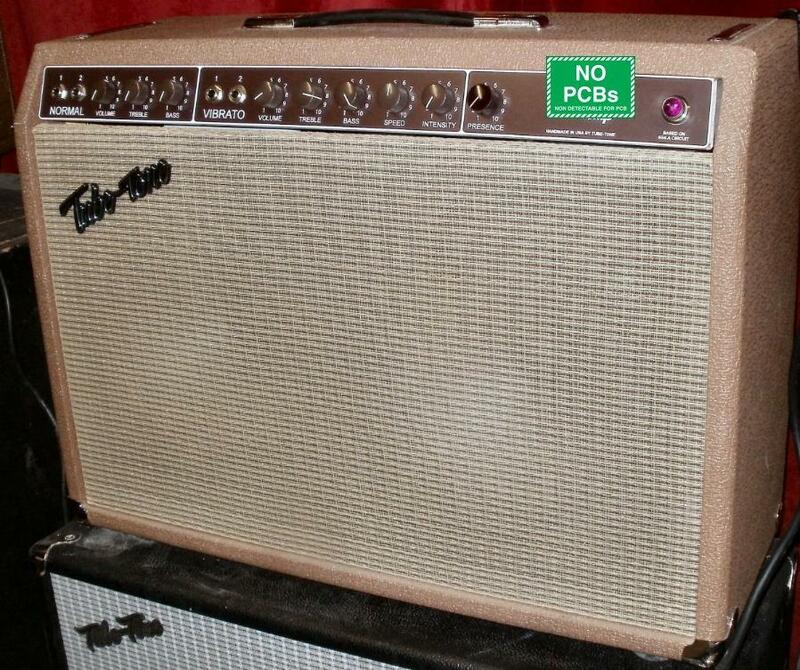 Most brown face era Fender amps seem to be the perfect blend between the old 'dirty' tone tweed circuits and the 'clean' blackface circuits, giving the sweetest tones, in our opinion. The clean has a nice 'warmth' to it with a nice bark and growl when you really dig in. 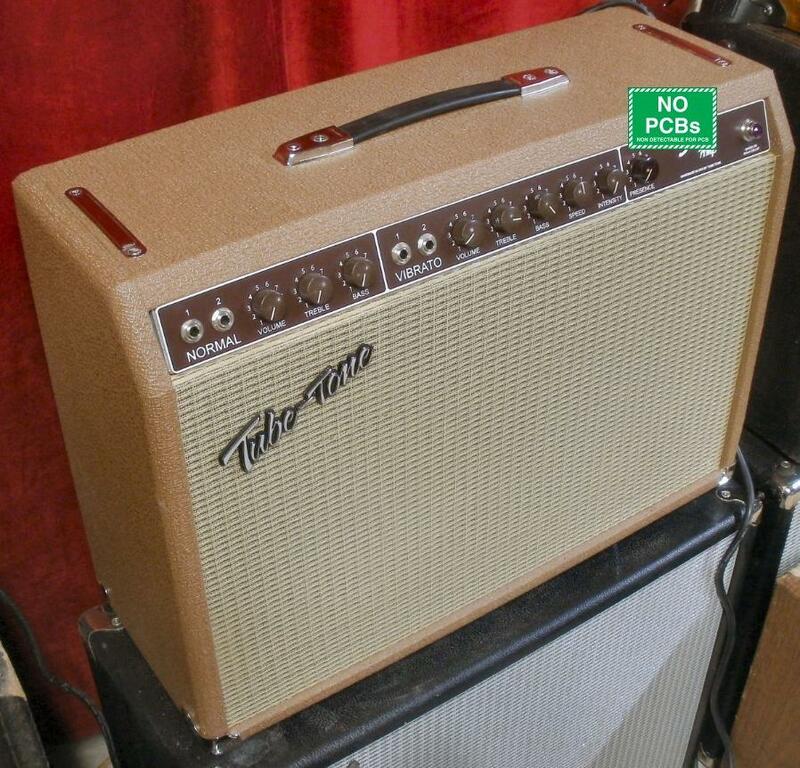 The Super, based on the Fender brown face Super 6G4A, is a powerful 2x10" 45 watt amp with 3-tube harmonic tremolo. Harmonic tremolo varies the treble/bass, instead of varying the loud/soft found in most other tremolos, giving very unique tremolo sounds. 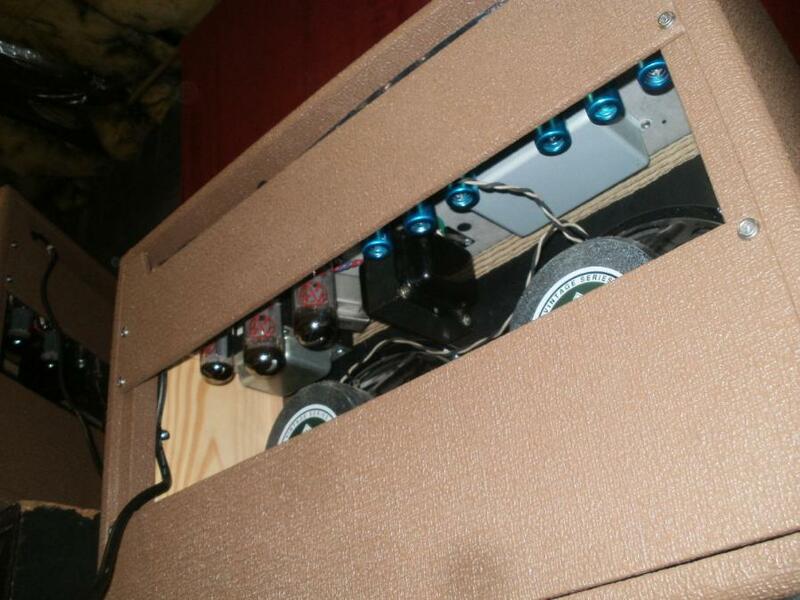 Tube compliment includes (2) 5881 power tubes with (6) 12AX7 preamp/tremolo/PI tubes, with GZ34 rectifier. This is deposit only. Balance due when ready for shipping. Total price shipped, in continental states is $1850. Total price to other countries is $1800 plus shipping. Specify voltage required, jewel light color and any mods when ordering. CA residents add CA sales tax.